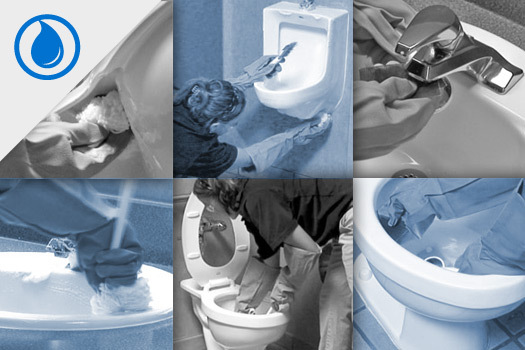 Aire-Master will thoroughly clean your restroom sinks, toilets and urinals inside and out. 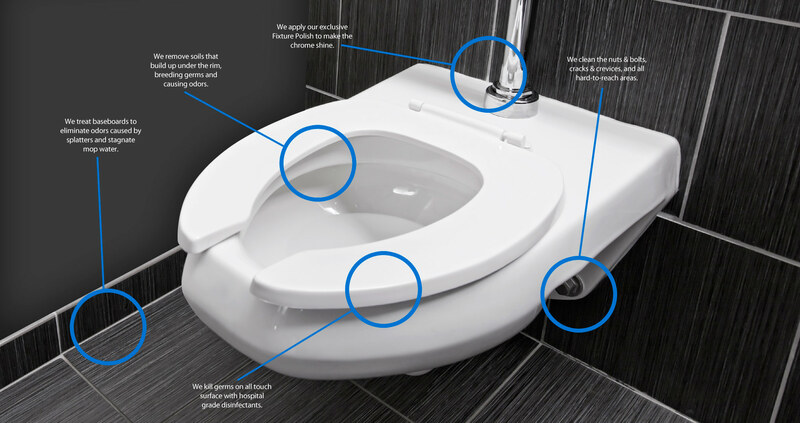 This thorough, in-depth cleaning includes hard to reach areas where germs breed and odors develop. 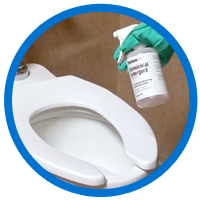 We also destroy bacteria with EPA registered hospital grade disinfectants that are safe for use on all surfaces and are excellent alternatives to bleach. Aire-Master does the tough jobs. 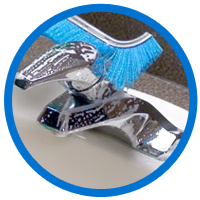 We use hospital grade disinfectants to eliminate bacteria on fixtures and all touch surfaces. Hidden soils can breed germs and cause odors. We find and remove this unseen build-up. We aren’t afraid of a little hard work, if that’s what it takes to get your fixtures clean! 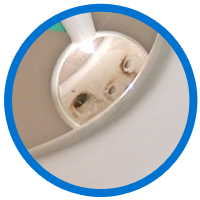 We know how to remove hard water and calcium build-up without damaging finishes. My Aire-Master service rep is awesome!!!! The bathrooms always sparkle and they have a wonderful personality!! The restrooms always smell good. The housekeeping department scored #1 out of 230 Doubletrees World wide in the catergory of rooms smelling fresh and clean. The Restroom Cleanliness finished # 1 as well. We are very pleased with Aire-Master's services. After our quarterly cleaning, the restrooms look and smell awesome! Thank you Aire-Master!